WooCommerce Purchase Order Gateway Extension: Let your customers enter purchase order numbers during checkout on your WooCommerce store. Does your sales process involve manual offline contracts/agreements and include purchase order numbers? 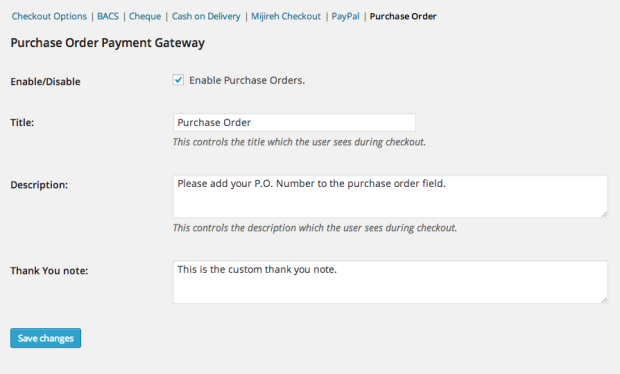 The WooCommerce Purchase Order Gateway adds an additional field to the WooCommerce checkout process. 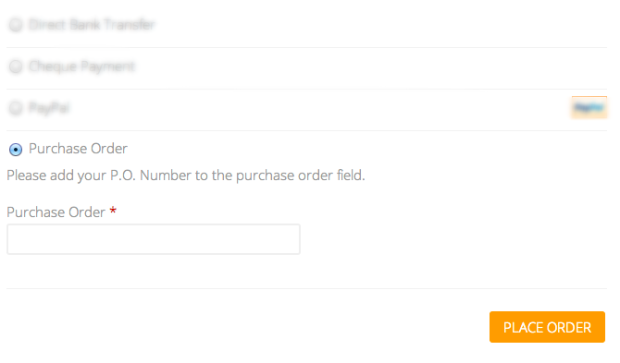 Customers can now input their purchase order number at the time of payment.